Farm Ponds : solution or a new problem? 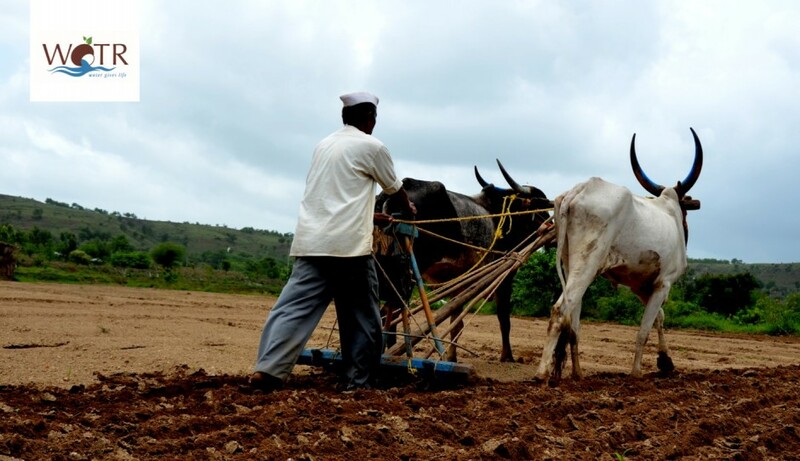 The construction of farm pond is being portrayed as a miracle strategy by the state as well as by the popular media but, the manner of its implementation and practice in arid and semi-arid regions of Maharashtra needs immediate attention. WOTR’s recent commentary published in the Economic and Political Weekly (EPW) and the Vanrai special edition (Marathi) highlights the need for regulating the overall farm pond practices. It also proposes different strategies as corrective measures to the ongoing implementation of these structures. Deteriorating Groundwater – Is this an irrevocable process? Our perceptions and plans to address issues revolving around our water resources need to adapt if we are to respond effectively to the challenge of climate change. Most of our surface water bodies and aquifers are stressed not just in terms of availability of water but also at the quality front. The reasons can be attributed to changes in the timing, form and intensity of precipitation; changes in agricultural practices, urbanisation, industrial pollution and the use of surface and groundwater . It has the potential to have a long lasting impact on various ecosystems and their services that we are completely dependent on. The impacts are likely to affect the ongoing and future programs designed to protect water quality, public health, safety and livelihood of people. With this in mind, WOTR’s Groundwater and Ecology team continued to explore villages in their second leg of Mula-Pravara sub-basinal seasonal study to assess the reasons for the declining water quality.